Sartori Company founder Paolo Sartori, and his quintessentially Italian ethic of living life to the fullest, is the primary inspiration behind this exceptional cheese. 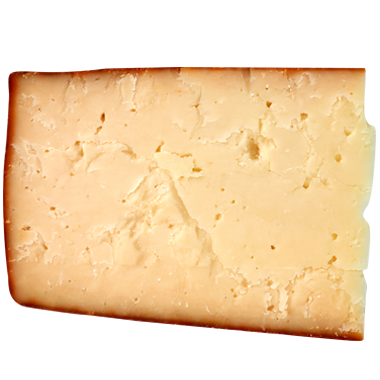 Pastorale Blend® is a creamy, earthy and paprika-dusted mixed-milk cheese. It was inspired by the wide world of Italian farmstead sheep’s milk cheeses, and is also Sartori’s first foray into mixed milk cheesemaking. First time’s a charm, it seems, because Pastorale Blend® took home a coveted first place ribbon from the American Cheese Society Competition in 2016. Pastorale Blend should be taken out of the refrigerator 30 minutes before serving for optimal texture and flavor. It’s smooth and dense and easy to slice and grate. Pastorale Blend has a rustic, back-to-the-land personality, so it likes full-flavored, but not too dominant, drinks. We like to drink smooth porters and stouts, Scotch ales and slightly bitter fruit beers and radlers with it. If we want wine, then chianti, syrah and beaujolais are all matches made in heaven. This cheese makes a mean frittata with fresh herbs and whatever sweet vegetable you have on hand. We love sweet and juicy yellow corn for that. We also, of course, like to enjoy Pastorale Blend with small bites and on a cheese board designed to start a conversation. Crusty bread, dried nuts, olives, cured meats and marinated mushrooms all pair nicely.